I love Chinese New Year (CNY). I love it because well, yes I am Chinese. But I have positive associations with CNY because it’s a holiday that has particular significance to me. I was actually born on Chinese New Year Day. So the first day of the Lunar New Year is my lunar calendar birthday. Having your birthday fall on CNY day is (no disrespect) waaaay cooler than having a birthday fall on New Years Day in the Western calendar. Christmas and New Years festivities often overshadow Western New Years babies’ birthdays, as most people are suffering from hangovers and too much rich food. So the last thing people want to celebrate is your birthday. But having my birthday on CNY day is a great advantage because CNY falls on a different day in the Western calendar every year, usually sometime between January and February, which keeps things exciting! And I never have to keep track of the day myself because it’s CNY day, and everyone knows the day because the Lunar New Year is the biggest and longest festival of the Chinese calendar. So I’ve been able to co-opt CNY (or the Spring Festival, as it’s also known) into my birthday festivities. And that’s what DH discovered on one of our very first dates. We chuckled at the ridiculous image of an obese rabbit, white fluffy tail and all, sitting on top of another smaller helpless one, pinning him down. It was a welcomed icebreaker that simultaneously got the age thing out of the way. Fortunately, that date (and subsequent ones) went well. We were lucky we had found each other, and we ended up getting married. As I think about other things I love about Chinese New Year, I’m reminded of my time in Hong Kong. CNY is arguably the biggest holiday of the year there, as most businesses actually close down. It’s almost bigger than Christmas with 3 full working days off, so people often take the entire week to go home and to visit family, etc. It’s a welcomed occasion in Hong Kong because just when you were starting to get depressed about how the Christmas holidays were over, this bonus holiday is just around the corner! The décor throughout the Hong Kong is an explosion of red. Money trees are placed everywhere and sweet juicy oranges are abundant. It’s festive and everyone is in a good mood giving money and gifts, and buying new clothes. As a single adult, I continued to receive lucky money—crisp new bills carefully stuffed inside red envelopes—from my bosses, superiors, and married friends. Sometimes it really adds up! At the same time I was also obligated to hand out red envelopes of my own to the various doormen who worked in my building and to other service folks to pass on the good karma. Not passing out lucky money to one’s subordinates is very bad luck in the coming year, so it pays to be generous all around. Despite the festivities around me, I was still in HK alone, and would miss my own family’s reunion dinner on the Eve of the New Year Chúxī (除夕), literally “evening of the passing.” Growing up in the States, my family celebrated CNY, but not extravagantly. 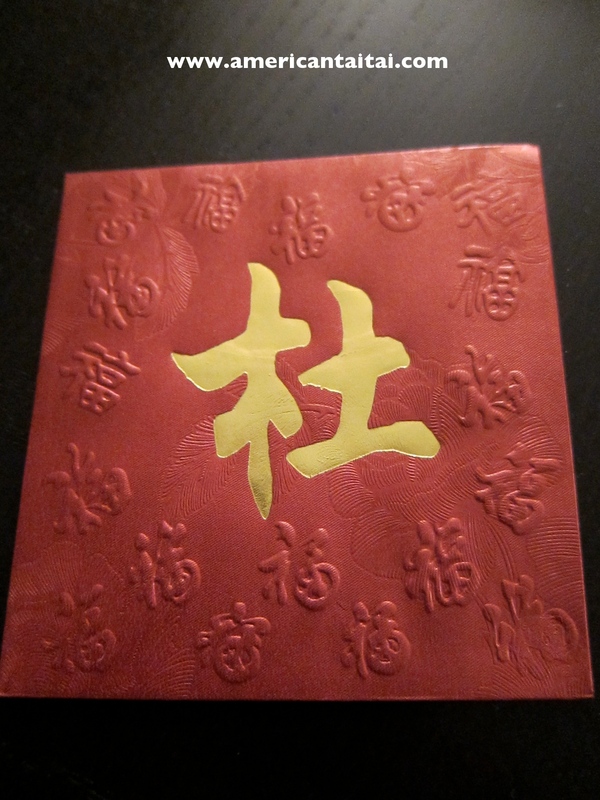 As children, we would receive lucky money in red envelopes from our parents and relatives. My folks would also make the effort to prepare traditional snacks (roasted seeds and other tasty treats and cookies) in the week leading up to New Year’s Eve, culminating in a more elaborate meal or hotpot at Chúxī. So while it was a relatively simple occasion spent with immediate family, it was always festive, intimate, and fun—especially since we got to stay up late. While the Lunar New Year holidays can be festive, those who don’t have family nearby often feel left out. So when I lived in Hong Kong, we “orphans” banded together and did as we pleased, taking advantage of the long holiday to schedule vacations with other “orphan” friends to resort destinations in Phuket or Bali or other popular vacation spots across Asia. Not too shabby a way to spend a bonus holiday. There’s certainly a great deal of dread, pressure, and expectation, particularly for single folks at family Chinese New Year festivities. So much so that in China, dating services specializing in renting out significant others during family CNY dinners are becoming a business-savvy niche one can use to dodge those pesky questions from nosy family members. This BBC article talks about a Rent-a-Boyfriend service specifically for the reunion dinner, where a hard-pressed girl can rent a plus-one for about $50 a day. The idea of renting a date has moved into popular culture in China after the 2010 fictional Chinese TV series, “Renting a Girlfriend for Home Reunion” staged the growing romance between a single Chinese man and his fake girlfriend. Honestly, I’m relieved that I did not have to face these extreme situations. But I can identify with the kinds of overwhelming social and cultural pressures placed on both single men and women that seem to lead towards ridiculous extremes. The rise of Rent-a-Plus-Ones illustrates how some parents in certain conservative Chinese cultures worship the marriage of their children, to the detriment of their relationship. Yikes. This both saddens and disturbs me. I’m hoping and praying that more reasonable and understanding conversations between parents and children might take place this weekend over the many reunion dinners across China, sans Rent-a-Plus-One. In closing, I’ve got one more final loathing, but it’s a minor one: Yo people, what is up with the fugly Chinese New Year zodiac and horoscope websites?! In doing some online research on CNY for this post, I was struck by an acute aesthetic observation. Aside from Wikipedia, most of the sites I find when I type in “Chinese New Year 2013” or “Chinese New Year Zodiac” are extremely ugly and super sketchy, plaguing my screen with random pop-up ads that make me never want to go back, even if the content itself is mildly interesting and informative. A lot of these sites look like they were designed in the late 90s/early 2000s, and haven’t really been updated in at least ten-fifteen years. What’s up with that? I bet there’s been a ton of traffic this week scouring the Interwebz for reliable sites to explain a little more about CNY. But I guess some folks (unlike me) don’t mind the gaudy and ugly visual displays. Ironically, I found that the most informative and best-looking sites that explain and describe the Chinese Lunar New Year festivities and traditions—along with fun horoscope predictions—are from Yahoo Shine and About.com with articles complied and authored by (again, no disrespect) white chicks. They’re not bad, so check them out. I guess I’m just disappointed in the quality of Chinese New Year resources available online, so I’m taking some initiative to direct your attention to more reputable sites and resources. If you know of others, let me know in the comments below. One favorite resource that most of you in the States probably have not heard of is the tongue-in-cheek CLSA Feng Shui Index, a hilarious compendium that predicts the performance of Hong Kong’s Hang Seng Index, while offering a few investment strategies over the coming year. Hot off the presses, here’s the press release and the link to the 2013 full PDF report that you can downloaded for free. Don’t take all the advice too seriously as this report is a whimsical tradition at CLSA, but definitely have fun reading it. With that, I wish you a very happy, healthy, and prosperous Chinese New Year in the year of the Black Water Snake. Happy New Year and may all your wishes be fulfilled. ← Takeaways from Weddings/Celebrations: Modern Arranged Marriages? Happy Chinese New Year, Mr. and Mrs. Rabbit! And Happy (early) Birthday, too! Thank you Mr. TBP! Happy New Year to you and Mrs. TBP as well!! All the best to you this upcoming year. Happy New Year to you, too, and Happy Birthday!! Hey fellow rabbit! Happy New Year! Happy birthday and happy new year, to you and your DH. May your year be blessed, prosperous, and as eventful (or uneventful) as you wish! Many thanks Mrs. Axe! Happy New year to you and Mr. Axe! May your year be blessed as well! Great piece! I can totally empathize with the themes and situations. Being an “orphan” during the LNY was a horrible experience. I was fortunate enough to have any married friends with families who would take me in. Good thing those days are behind me. Nowadays the fear is how to keep the weight off from all this feasting with family. Thanks for stopping by, Rob! Here’s to friends and family who adopt “orphans” at LNY. Happy new year to you and Stephanie! Eat well, and celebrate. May you guys have a blessed year ahead! Hi there, happy New Year and happy birthday to you! I wondered, what did you observe with food? Our custom is to go vegetarian for New Year’s Day, but birthdays are typically marked with at.least roast chicken. How was this resolved?